Al Sunseri owns the oldest continually operating oyster dealer in the United States. The P&J Oyster Company has been in business for over 138 years with an oyster shucking house that has been located in the French Quarter since 1921. P&J’s has had the reputation of harvesting the freshest and highest quality of oysters in the business. In fact, their oysters were used by Jules Alciatore in the 1880’s at Antoine’s Restaurant. Alciatore went on to invent the famous Oysters Rockefeller. In the time that P&J has been in business, it has survived through two world wars, a depression, and a recession. But what happened in 2010 has been the worse. On April 20, 2010, an explosion on the Deepwater Horizon oil rig killed 11 people and injured 17 others. A broken line started gushing what would become 200 million gallons of crude oil into the Gulf of Mexico. The leak eventually affected nearly 16,000 miles of coastline from Texas, Louisiana, Mississippi, Alabama, to Florida. The oil line was finally capped in July 2010. Of the 400 miles of Louisiana coastline, about 125 miles of it has been polluted by the oil spill. To “help” with the cleanup, a method called “in situ burning” is used in the contained area. This method burns the oil off the surface of the water. It also has negative effects on the environment. But through it all, Al has remained optimistic. He is hopeful that this year will bring plenty of oysters. Al is confident that the next generation of oysters is down there growing off the Louisiana coast. He and P&J have been the top supplier for chefs and home cooks alike for generations and intends to supply the generations to come with top quality oysters. Being in the food industry, Al and his family love to cook. The Sunseri family worked with many of New Orleans finest chefs, along with cookbook author Kit Wohl, to put together the ultimate oyster cookbook, The P&J Oyster Company Cookbook. The cookbook includes recipes from Scott Boswell, Michael Farrell, Donald Link, Susan Spicer, Tory McPhail, John Besh, Darin Nesbit and more. Besides tips on how to handle and shuck oysters, you get recipes for raw, grilled, fried and baked oysters. You can treat your family and friends to a taste of New Orleans no matter where you are. Al works tirelessly to keep P&J afloat and the public aware of what is going on along the Gulf coastline. The cookbook is a way to honor the family that has been a major part in the New Orleans seafood industry for well over a hundred years. It’s also a way to share the importance that oysters have had in Louisiana. When I started working for dad at P&J I used to love to eat red beans and rice at Buster Holmes. It was cheap and I could afford them and it came with pork chops! After he closed the restaurant I’d get one of the P&J drivers to pick up my red beans and rice at Dookie Chase’s with a side of Mrs. Leah’s fried chicken. Yum! The first thing I do is lay my beans out on a pan in a single layer to see if anything other than the red beans come out of the bag of dry beans. After that, I soak them in some hot water for at least an hour or two. Then I start sautéing a large chopped onion, one whole chopped garlic, and 2-3 chopped celery stalks in two tablespoons of butter and about a tablespoon of K-Paul’s Barbeque Magic. I don’t know if you’d call it unique but I put the grease from a pound of bacon in my red beans along with a couple of pounds of Paul Prudhomme’s andouille sausage and at least a pound of ham chunks. I like to cook my rice in chicken stock so you can get another layer of flavor when you eat the red beans and rice. I always need some Leidenheimer’s French Bread that I slice thin, slather a little butter and garlic on and toast under the broiler until they’re golden brown. I love spooning some red beans and rice on the toast! Growing up in a large family we ate red beans and rice on the traditional Monday as well as on other days of the week. But after years of abstinence from eating red beans and rice because we ate them so much at home, it didn’t and doesn’t matter what day of the week we eat them, just whenever we get a craving for them. 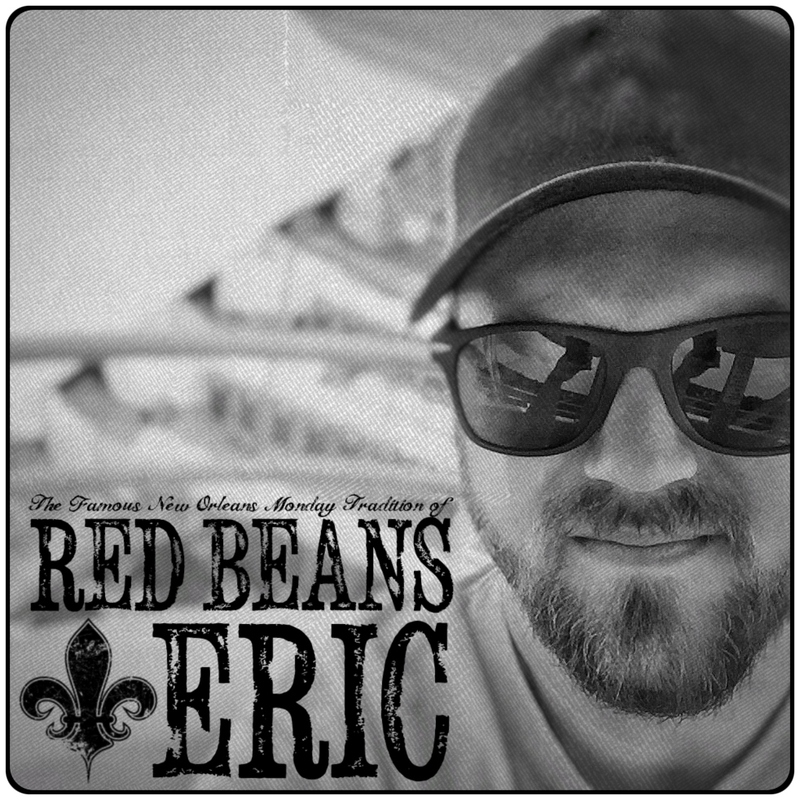 Red beans and rice is important to the New Orleans culture, what does it mean for you? Every time I cook and/or eat a good plate of red beans and rice it’s a reminder of our family sitting at the dinner table. 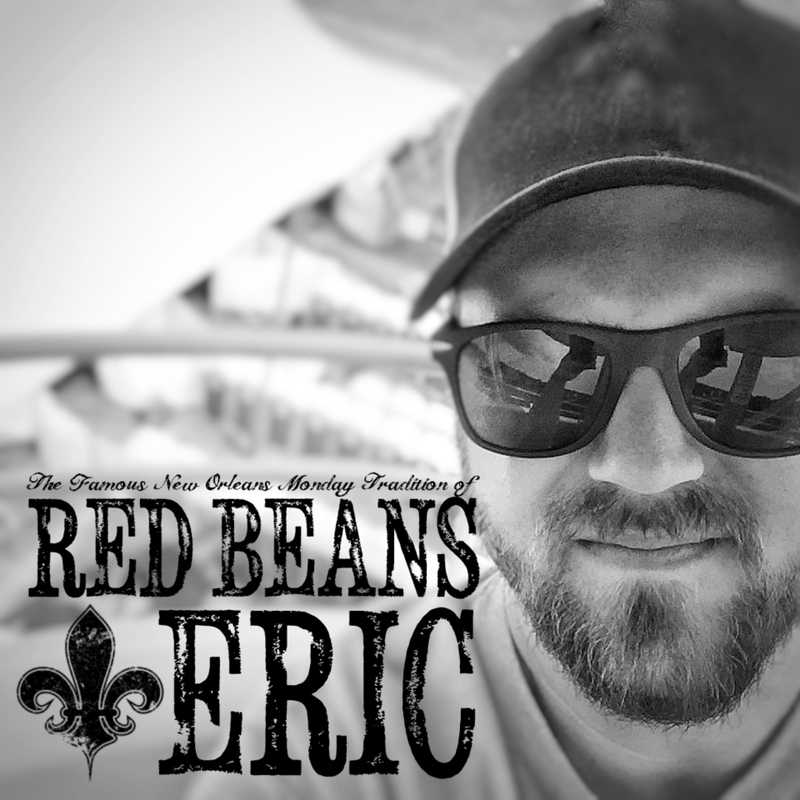 The stories we were told by our parents about the French Market shop owners that gave them some pickle meat or ham hocks as lagniappe always comes to mind when I think of red beans and rice. I believe that is that kind of tradition that is synonymous with how New Orleanians are truly a friendly, loving and giving people. For more information on Al Sunseri and the P&J Oyster Company, visit their website at OysterLover.com. There you can find recipes, resources, the history of P&J, along with the latest news on how the current oyster season is going. My interview with Al Sunseri was originally published in October 2014.